If LSU and Southern University were to participate in a contest-based reality show it would be called Louisiana’s Next Top Pot Farmer. Now that Louisiana has given the two colleges the rights to grow all of the medical marijuana for the state, they are on a search for the right contractor to get the project started. Many have applied and LSU professor and researcher the AgCenter Biotechnology Laboratory, Dr. Ted Gauthier, has told media that 10 of those applicants will be shortlisted. Louisiana’s focus right now is on medical marijuana patients, since Governor John Bel Edwards signed into law a bill that expands the medical accessibility of marijuana in Louisiana, in May 2016. So, the program is looking for candidates who know how to make exceptional medicine out of the plant, first and foremost. 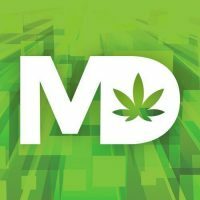 The schools are expected to have a marijuana contractor hired by June, and the first crop should be ready for patients by the end of this year. The potential revenue from medical marijuana for Louisiana should hit at about $204 million and $334 million according to a study by the Louisiana Cannabis Association and Denver-based Marijuana Policy Group. The clearance for LSU and Southern University—a Historically Black college located in Baton Rouge—comes with some important rules regarding the ways in which the cannabis will grow. Both schools will provide the facilities, but the $10 million for the growing operations will be paid for by the contractor. To protect the crop further the facilities will be located off of LSU’s campus, and students will not be involved in the operation. It must be an indoor location in East Baton Rouge Parish with tight security. When officials select a contractor, the university will not release the location of the facility. The state of Louisiana was one of the first in the union to legalize marijuana, meant to treat glaucoma and adverse chemotherapy symptoms. That was in 1978, but some stagnations in Louisiana’s legal system have left them almost in the dust compared to the rest of the country. When it resurfaced in 2014, opposition from the Louisiana Sheriff’s Association and Louisiana Attorney General Buddy Caldwell made the bill died by a vote of 6-2 in the Senate health committee. But Sen. Fred Mill’s sponsored Senate Bill 143 is the one that made it through, finally, and allowed two major universities take part in bringing medical marijuana to Louisiana. If Louisiana makes marijuana legal for people 21 and older it would make a lot of money for state think about it.